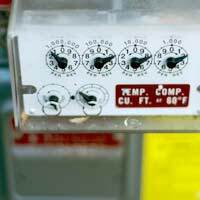 Home > Ask Our Experts > Is it my Responsibility to Pay for a Faulty Meter? My gas bill has been high for quiet a while. I decided to change my boiler 3 years ago but the bill still hasn't been reduced. After three years I have now replaced the new boiler with another one and today the gas man that changed my boiler found out that the gas meter had been leaking. He reported it and this has been changed immediately. My query to British Gas was what they were going to do about it and they said it was still my responsibility to pay for it. Can you please advise if this is correct as I don't feel it is. As the meter is the responsibility of British Gas, you should not be liable for any costs incurred due to maintenance, replacement or any excess charges caused by its faulty operation. Therefore, contrary to the response you received from British Gas, you are entitled to receive compensation from them for the money that has been billed to you in error over this extended period. What is not clear from your query is what action was taken when you first recognised that there might be a problem with your meter readings. The necessary course of action would have been to immediately contact your supplier who is required to investigate your complaint and take measures to resolve the problem. Your query infers that you replaced at least one of your boilers thinking that this might be the root of the problem. If this action was prompted by British Gas in response to a complaint about a high meter reading then you may be entitled to compensation for the costs of installing a new boiler. If this is so, then you will nevertheless need proof that British Gas advised such an action. Unfortunately getting any money back from British Gas might prove an uphill struggle. The energy supplier seems to struggle in providing customer satisfaction. For example between the period of October 2006 and March 2007 it managed to attract a record breaking 21,427 customer complaints, nearly three times that of those addressed to all the other energy suppliers put together. As with this case, most of these complaints were from people demanding their money back after being mistakenly overcharged. As you have already raised the issue with your supplier, your second step should be to issue a full written complaint to the British Gas customer service department. This letter should outline the history of the problem, assert your consumer rights and make clear what action you expect them to take. If this proves ineffective then the next step up the ladder is Consumer Direct, the government funded consumer advice service. Energywatch used to be in charge of dealing with energy supplier-related complaints but since October 1st 2008, the responsibility has shifted to Consumer Direct. If even this proves unsatisfactory then you might consider taking your query up with the Energy Supply ombudsman, which deals with complaints against any of the supply companies. To support your efforts in resolving the issue I would stress the importance of keeping safe all relevant correspondence, emails, bills and recording details of any phone call made. In this particular case it would be very useful to obtain any bill records from the period when the meter wasn’t functioning correctly. These will be invaluable in ascertaining how much money you have been overcharged.